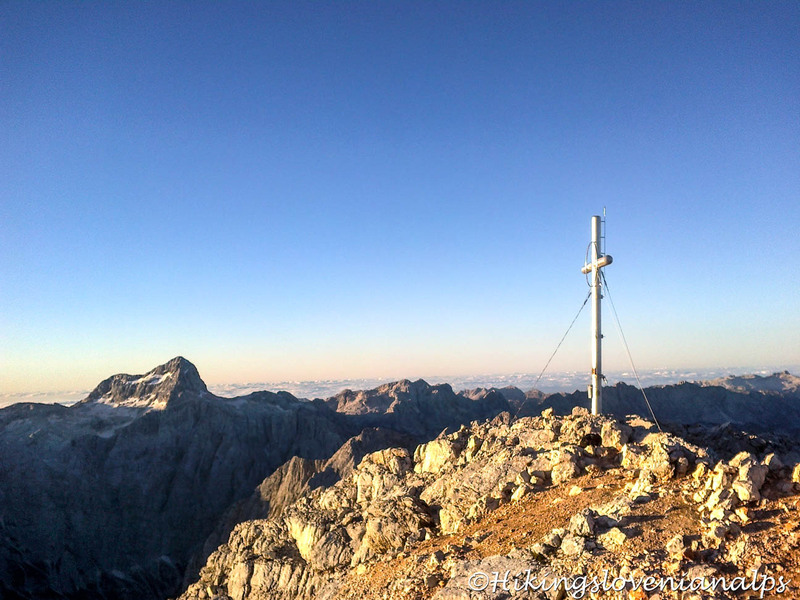 Have you heard of crowds on the Triglav mountain? Or have you climbed the Triglav yourself and it let you down? There’s always an alternative. Let us present you a great one! At 2740m above the sea level it’s the second highest mountain in Slovenia. Trust us, if Triglav is the King of the mountains, then Škrlatica is definitely the Queen. An impressive one! Škrlatica doesn’t know crowds of unexperienced hikers like Triglav and it’s definitely not suitable for anyone. The approach is long and tiring. Before reaching the higher, steeper parts of your hike, you’re facing at least 4 hours of moderate/challenging hiking. Anyway, the views are spectacular! Want to hear the best part? The nearest mountain hut is hours away! This makes Škrlatica suitable only for experienced hikers, which puts an extra value to your hike. Several approaches are possible, yet the most popular and also the shortest option starts in the Vrata Valley. To successfully conquer the mountain, start early, because the hike doesn’t pass any mountain hut. Mind that on average it takes 12 hours for a return hike. The route is marked throughout the way. At Aljažev dom v Vratih head north in direction of Škrlatica and simply follow the trail. A few hours further, at around 2000m, the trail turns right and circumvents the Dolkova špica mountain. Another hour of easy/moderate hiking, then the real challenge begins! Put on your via ferrata set, a helmet and prepare yourself for some serious scrambling. When you get tired, look behind you – this route has one of the best Triglav panoramas out there, absolutely majestic. When you reach the top, don’t forget to congratulate yourself and enjoy one of the best views in the Slovenian Alps – we sure hope it was worth it!